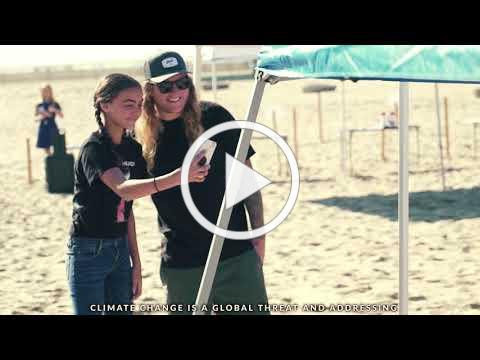 May 11, 2018 – Huntington Beach, CA – Southern California’s favorite reggae/hip-hop band Dirty Heads are wrapping up Earth Month and celebrating the success of the largest volunteer beach cleanup event in their hometown of Huntington Beach, CA, which took place on Earth Day, April 22. The band joined forces with Orange County Coastkeeper to host the event, along with promotional support from KIND Snacks, Wahoo’s Fish Taco and The World Famous KROQ. The cleanup attracted 1,390 volunteers who collected and removed nearly 600 pounds of trash from Huntington State Beach. Fresh off of a national television performance on Jimmy Kimmel Live! of their hit single “Celebrate,” which is currently #11 at Alternative Radio this week,the Dirty Heads are gearing up for a Summer tour across the U.S. in support of the new album SWIM TEAM, which will continue benefitting the environment along the way. Inhaling alternative, hip-hop, reggae, and rock and exhaling one irresistible and infectious anthem after another, DIRTY HEADS—Jared “Dirty J” Watson [vocals], Dustin “Duddy B” Bushnell [vocals/guitar], Jon Olazabal [percussion], Matt Ochoa [drums], & David Foral [bass]—have been redefining the sound of Southern California since 2003. With over 700 Million audio streams to date, the group first made a splash with their full-length 2008 debut Any Point In A Storm. The record yielded the RIAA gold-certified smash “Lay Me Down,” and it held #1 on the Billboard Alternative Chart for 11 weeks: longer than any single that year by any other artist. 2014’s Sound of Change earned acclaim from the likes of Esquire and bowed at #8 on the Billboard Top 200 as its first single “My Sweet Summer” captured #3 on Alternative Radio. Meanwhile, the band’s 2016 self-titled Dirty Heads went Top 15 on the Top 200 and spawned the smash “That’s All I Need,” which racked up over 10.5 million Spotify streams and counting. Noisey described it as “Killer.” Beyond selling out countless shows around the world, the band headlined its own High & Mighty Festival in 2017. “Celebrate”, which is currently#11 at Alternative Radio this week, follows the California quintet’s hit summer single & Spotify viral track “Vacation,” which went Top-10 at Alternative Radioand was the # 1 Most Added at Alternative Radio for two straight weeks upon its release, top stations including Sirius XM Alt Nation, KROQ, ALT 92.3 New York, ALT 105.3 San Francisco, KKDO Sacramento and KPNTY St. Louis. Both tracks are taken from SWIM TEAM which sees Dirty Heads pushing their sound, moving between pop, alternative, hip-hop, reggae, and rock with the same spirit and spark that’s powered them since the beginning. The album’s wide-ranging sound is also due in part to the diverse team of collaborators: Jonas Jeberg [Demi Lovato, Juicy J, Jason Derulo], “Lay Me Down” partner-in-crime Rome [Enrique Iglesias] of Sublime with Rome, Blueprint [Jay-Z, Kanye West, Timbaland, Eminem, Nas, Prodigy], Oren Yoel [Miley Cyrus, Kanye West], HEAVY [Andrew McMahon], and The Score.